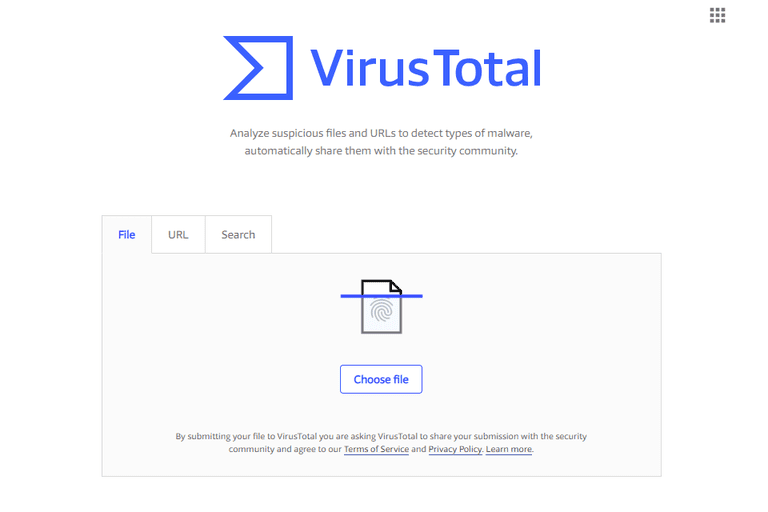 VirusTotal is the best online virus scanner because in addition to scanning URLs, IP addresses, and files against several different antivirus engines, it can also be used over email or from a desktop to scan running processes. Dozens of different antivirus engines are used to scan files sent to VirusTotal, which means several different perspectives are used to determine whether or not a file is malicious. Instead of uploading files to the VirusTotal website or using the desktop program, you can send email attachments containing the files you'd like scanned. This means you can also forward emails that have attachments you suspect could be malicious. Entering SCAN will make the scan results be sent back to you in pain text while SCAN+XML will create a reply with the results in XML format. Any file format is allowed when sending files to VirusTotal. You can send more than one file by creating an archive with as many files as you like given the total size doesn't exceed 32 MB. See these free zip and unzip programs for some free programs that will make an archive acceptable for sending to VirusTotal. You can read more about VirusTotal's email feature at their Email Submissions page. Not all online virus scanners support the large number of scanning engines that VirusTotal does. Of course, sheer number doesn't imply VirusTotal is the best online scanner, but it helps to see that it uses the antivirus engines from popular companies like AVG Technologies, Baidu, Comodo, Malwarebytes Corporation, and SUPERAntiSpyware. There are plenty more listed on the their Contributors page. It's great that you can send files to VirusTotal in different mediums. Email attachments is a common way to spread viruses, so it's really helpful that you can use the website over email, too. Also, because it's an online scanner, any browser and operating system is supported, be it Mac, Windows, Linux, etc. In addition to this, it's probably easiest to use the dedicated desktop program that lets you send local files to the website. It really couldn't be easier to use these methods. While it is important to have a dedicated, offline virus scanner on hand that's always ready for scanning files, VirusTotal is a great way to get a second opinion on certain occasions. Given the many different engines used to perform a scan, you're actually getting several different opinions at once, which is fantastic.